On heavy duty wheels and rims, varying operating conditions can result in components wearing out, for example operating in highly abrasive conditions such as sand and shale. Components can also get damaged through impacts which can occur in some environments such as mining applications. 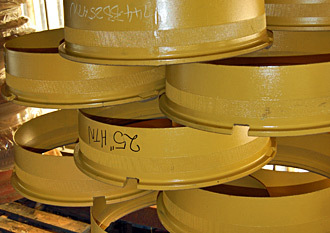 Mullins can assess, repair or replace such components when the need arises.